(1) Goods once sold will not be taken back or exchanged, unless there is a manufacturing/binding defect. (2) All disputes are subject to Delhi jurisdiction only. 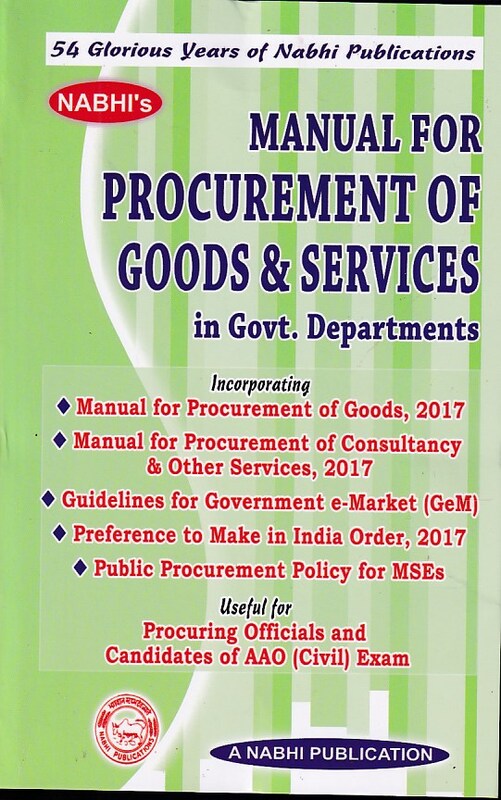 (3) Prices and availability of Books are subjected to be changed without any prior notice. While every effort is made to ensure accuracy of prices and availability of the titles featured on this Site as mentioned by the Publisher,however, price and availability information may change without prior notice. The Site is provided by Jain Book Depot in good faith but Jain Book Depot does not make any representations or warranties of any kind, express or implied, in relation to all or any part of the Site or the Content or any websites to which the Site is linked, and all warranties and representations are hereby excluded to the extent permitted by law. The contents of the Site do not constitute advice and should not be relied upon in making, or refraining from making, any decision. There is no guarantee that the Site will be free of infection by viruses or anything else which may be harmful or destructive. To the extent permitted by law, Jain Book Depot hereby disclaims all liability (howsoever arising) in connection with any loss and/or damage, arising out of or in connection with any use of, or inability to use, all or any part of the Content, the Site and/or any website to which the Site is linked, or any action taken (or refrained from being taken) as a result of using any of these. Jain Book Depot reserves the right to add to or change these conditions of use and agrees to ensure that a note of the date and clause number of any such amendments will be included as part of the conditions. Any changes will be posted to this page and it is your responsibility as a user to ensure that you are aware of any such changes from time to time. Changes will become effective 24 hours after first posting and you will be deemed to have accepted any change if you continue to access the Site after that time. Jain Book Depot collects information on what pages are accessed or visited by consumers, as well as information volunteered by the consumer, such as survey information and/or site registrations. Jain Book Depot uses this information for internal review, in order to improve the content of the Site and to notify consumers about updates to the Site. Jain Book Depot guarantees that if you supply your postal address on-line you will only be sent the information for which you provided your address but if you do not wish to receive e-mail from Jain Book Depot in the future, or if you wish to be removed from mailing lists, please unsubscribe.